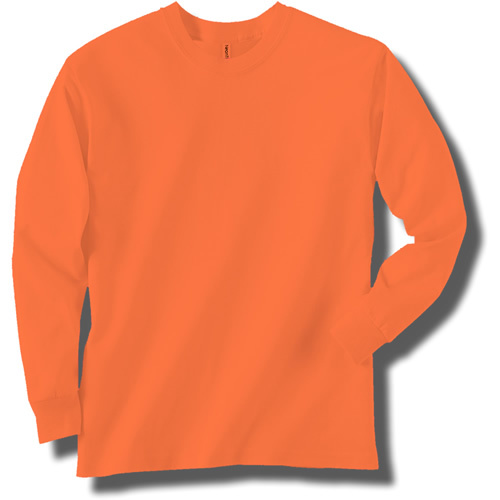 Adult (unisex/men's) long sleeve t-shirt is a 5.5 ounce 100% pre-shrunk ringspun cotton. Features double-needle neck and bottom hem. Shoulder-to-shoulder tape, with rib cuffs.